In addition to the full Hypnobubs® Hypnobirthing Online course you receive a 90 minute Private Skype session with a Certified Practitioner who will walk you through any areas that require further clarification, help you to address any fears and reservations that may be holding you back from the birth you desire and deserve and also personalise your practice routine to ensure that you are getting the most out of your tuition. PLUS – you get the Change of Circumstances Course, to ensure that you have EVERYTHING you need for your labour and birth. Take your confidence to the next level with the combination of the Hypnobubs® Hypnobirthing Online Course PLUS our Change of Circumstances Online Course PLUS your very own 90 minute PRIVATE session with a Hypnobubs® Practitioner! In addition to the full Hypnobubs™ Hypnobirthing Online course you receive a 90 minute Private Skype session with a Certified Practitioner who will walk you through any areas that require further clarification, help you to address any fears and reservations that may be holding you back from the birth you desire and deserve and also personalise your practice routine to ensure that you are getting the most out of your tuition. PLUS you get the Change of Circumstances Course to ensure that you have EVERYTHING you need for your labour and birth. 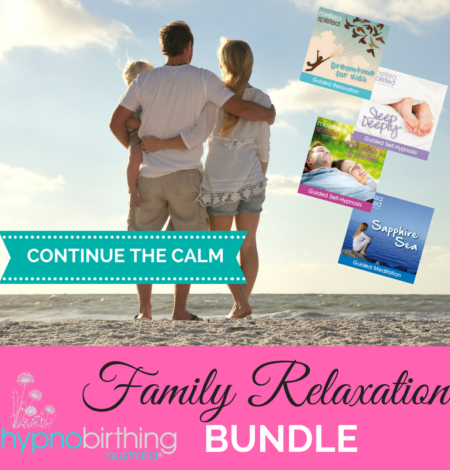 Hypnobubs® Hypnobirthing Online Course including video tuition, eBook, worksheets, albums and resources. The Positive Cesarean Birth – Change of Circumstances Course including video tuition, eBook, worksheets, mp3 tracks and resources. Personalised one-on-one tuition with a Hypnobubs® Certified Practitioner (90 minutes).